Ugadi is celebrated in parts of southern India with lots of joy and excitement. Generally, the festival is celebrated in Karnataka, Tamil Nadu, Andra Pradesh, and Telangana but then there are other names to it if you move towards a different part of India. 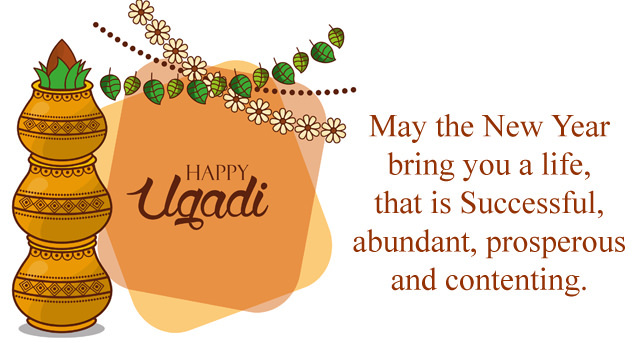 The meaning of the word Ugadi is beginning of age and thus it is said that Lord Brahma created the whole universe on an auspicious day and named it Ugadi. People thereafter started to celebrate it. Moreover, it marks the beginning of spring which has lots of values in store for the people around every corner of India and its neighboring states as well. This festival is also celebrated as the New Year eve for the people of Karnataka. The beginning of a new year in Ugadi is with respect to the Hindu Lunar calendar where this day also marks a new year. The day has maximum emotional values to the farmers as this is actually the beginning of harvest day of crops for them. Preparation generally starts one week prior to the date of the festival Ugadi which includes cleaning houses and decorating. People start shopping one month prior to the date and do lots of shopping for Ugadi. There is a lot of craze for this festival in the southern parts of India. People generally get up very early on this day and take a beat from head to toe but before taking a bath they massage their body with sesame oil. Generally, Ugadi marks the beginning of spring and Ugadi is treated as a joyous festival in India. This is actually a good time to start a new business. People generally greet family members and relatives with beautiful Happy Ugadi 2019 wishes. 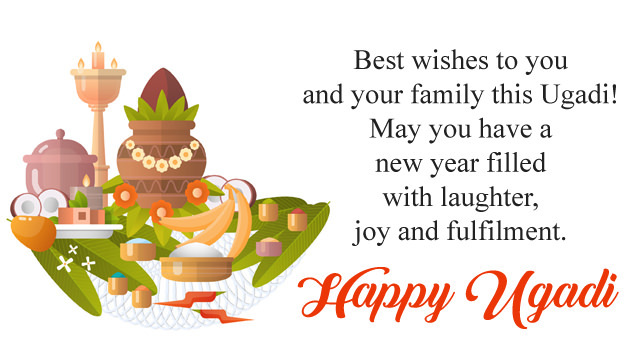 If you have a friend or know someone who is related to the festival then you can send this lovely Happy Ugadi wishes in English fonts with best ugadi greetings messages to wish them. 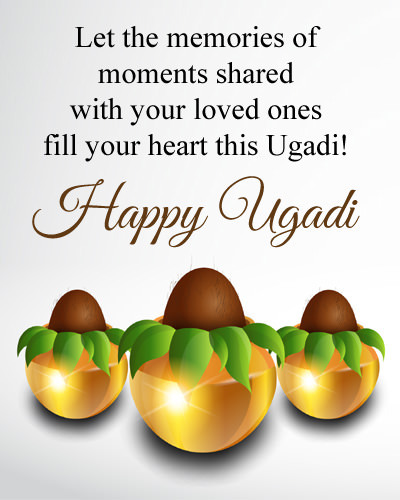 Wishing you a very awesome Ugadi! This Ugadi, may your enemies become friends, the darkness of negativity fade away from your life and you discover a new person within you.Happy New Year! May you be blessed this Ugadi. May peace transcend the earth. Happy Ugadi! 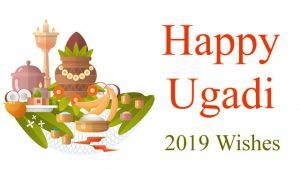 Have a very happy 2019 Ugadi! Memories of moments celebrated together. Moments that have been attached in my heart, forever. Make me Miss You even more this Ugadi. Hope this Ugadi brings in Good Fortune & Abounding Happiness for you. 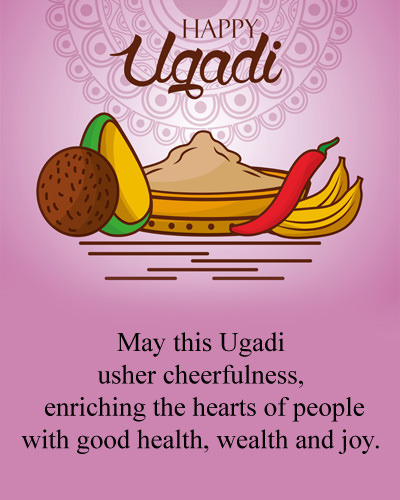 Have a very great Ugadi! With a smile and a spirit of giving, a sense of humanity, a pledge to spread peace and happiness let’s celebrate the beginning of the new year.